It’s the little things. 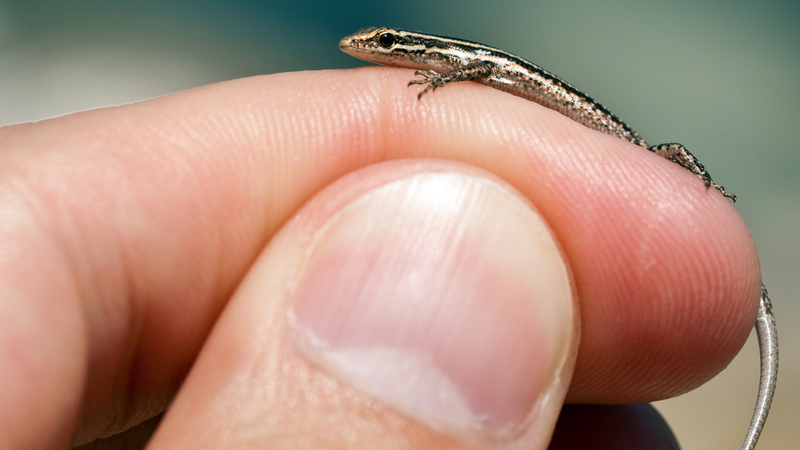 In this case, a little lizard. The composition is strong. Positioning the subject across the top third of the frame allows the hand to provide scale with the pale, soft whorls of fingerprints providing textural contrast to the dark, iridescence of the lizard’s skin. Nicely done.